Since its release in July 2015, spokespeople from the movie have denied ripping off Cars. According to Variety, the fine that the court issued to Chinese producer Bluemtv and distributor G-Point is nearly a fourth of the $863,000 that the movie grossed. 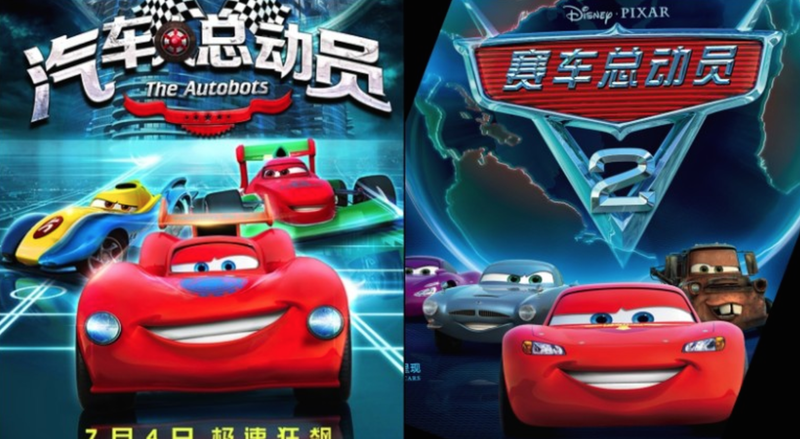 Disney filed the copyright lawsuit in the Shanghai Pudong New Area People’s Court in July 2016, according to Variety, and the court announced on Thursday that it ruled producers of The Autobots illegally used Disney’s characters and posters. Variety reports that the court also said the movie’s title is similar to “Cars” and constitutes unfair competition. Zhuo also said The Autobots’ characters were all copyrighted and legal in China upon its release, according to the New York Times. Zhuo’s lawyers argued during the case that all of the characters had been independently developed, and Variety reports that Zhuo will launch an appeal to the ruling. And believe it or not, Variety reports that Zhuo said he had plans for a sequel to the movie before losing the court case. All he needed to do was raise the funds to produce it. Oh, wait—that’s totally believable. His plans for the sequel hit theaters in 2011.